At E Squared Marine Service, LLC, our vision is to continuously grow as a leader in the marine transportation industry through outstanding regulatory and compliance improvements. 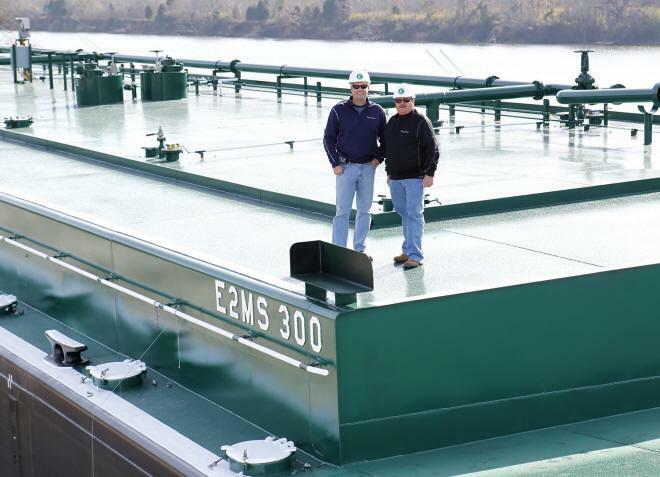 We are committed to provide safe and flexible marine transportation services to our valued customers, while providing a great work environment for our employees. We believe in a safe and healthy environment for our employees and customers. We prohibit the possession, sale, or use, of alcohol, drugs, marijuana, inhalants, drug paraphernalia, or other illegal controlled or mind altering substances, on company property, or in an employee’s possession. E Squared Marine Service LLC is pledged to maintain and operate its vessels and shore side facilities in a manner that protects the safety and health of our employees, contractors, visitors, and neighbors. It is the responsibility of every employee to be familiar with and adhere to this policy. Our mission is to provide our customers with simple and efficient marine transportation service. We are a team dedicated to delivering complete customer satisfaction, no matter the circumstances. We achieve this by ensuring compliance with our customers’ requirements, providing outstanding communications, efficient operations, and striving to protect our customer’s best interests and by treating all customers with the respect they deserve. E Squared Marine Service, LLC strives to provide a safe and healthy working environment to all employees. Safety is a condition of employment, and we are proud of the safety-minded individuals we employ. We are always promoting and improving upon our safety culture through continuous improvement, constant training of our Quality and Safety Management, reviewing lessons learned and participating in customer safety programs. With safety as our TOP PRIROTY, we aim to reach the goal of ZERO Injuries and ZERO Incidents. E Squared Marine Service, LLC puts a high value on reducing any environmental impact caused by our operations. We aim to achieve this by having ZERO spills, ZERO Releases, and operating equipment that meets or exceeds all regulatory or customer requirements. We train our employees in the importance of good environmental stewardship, how to responsibly operate equipment, and ways to minimize any risk to the environment.